End of June, end of school, a lot of goodbies to friends, so it's time for a friendship card ! This one was made with a sheet from the 6x6 In Stitches paper pad, plus few sheets from the Birds and Butterflies stack by DCWV. 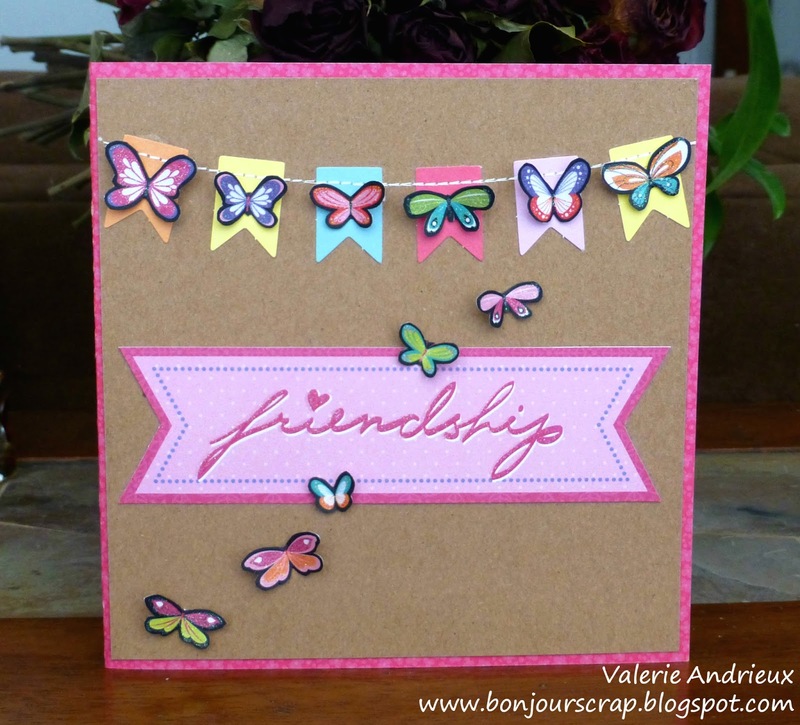 Some mini Glue Dots to adhere everything and you got a cute card in minutes ! I wish you a wonderful week !